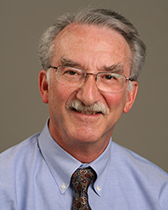 Joel Horowitz's research is concerned with estimation and inference under weak assumptions about the process that generates the available data. It is also concerned with improving the accuracy of inference with samples of practical size and with using shape restrictions provided by economic theory to improve estimation and inference. He is a former co-editor of Econometrica and Econometric Theory, a Fellow of the Econometric Society and of the American Statistical Association, and an elected member of the International Statistical Institute.